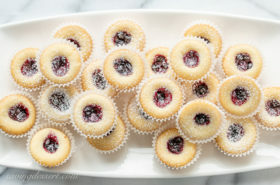 These are super simple and delicious on just about anything except breakfast cereal! 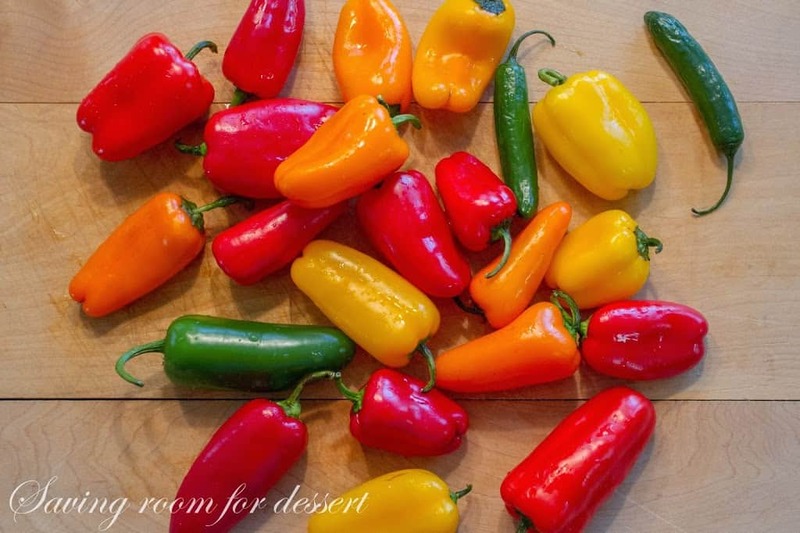 Pick a peck of peppers at your local grocery store and mix them up – a few mini sweet bell peppers and a few hot like jalapenos. You’ll need about 14-16 ounces of peppers. 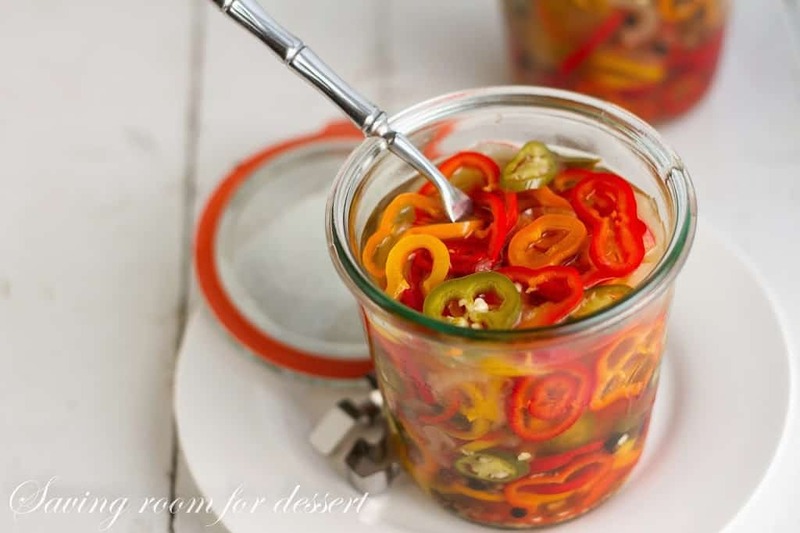 Slice the peppers and divide them among a couple of jars. I thought I would need three but ended up only filling two pint jars. Cook a mixture of onions, vinegar and spices and pour the hot mixture over the peppers. 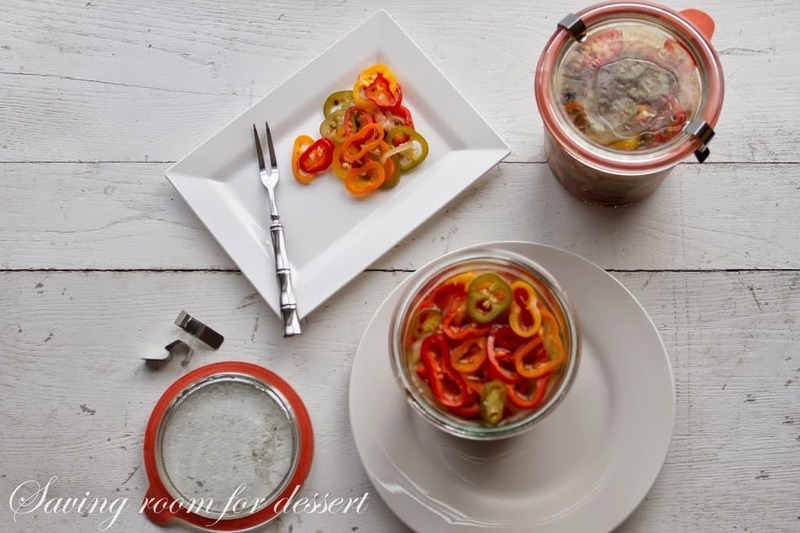 Allow the jars to cool and refrigerate for at least 12 hours before serving. That’s it! I don’t eat hot dogs much anymore, unless I’m at a baseball game, but these would be great on a dog, hamburger, salad or any sandwich! Put some of these on your 4th of July picnic table and watch them disappear. I knew my husband would love these and he certainly does. 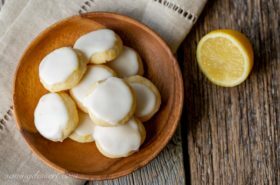 He said they are just the right mix of hot, sweet and sour … then added “kind-of like you.” Not sure how I should take that – but it’s probably true! I am a woman after all – and we all have many sides … many, many sides! 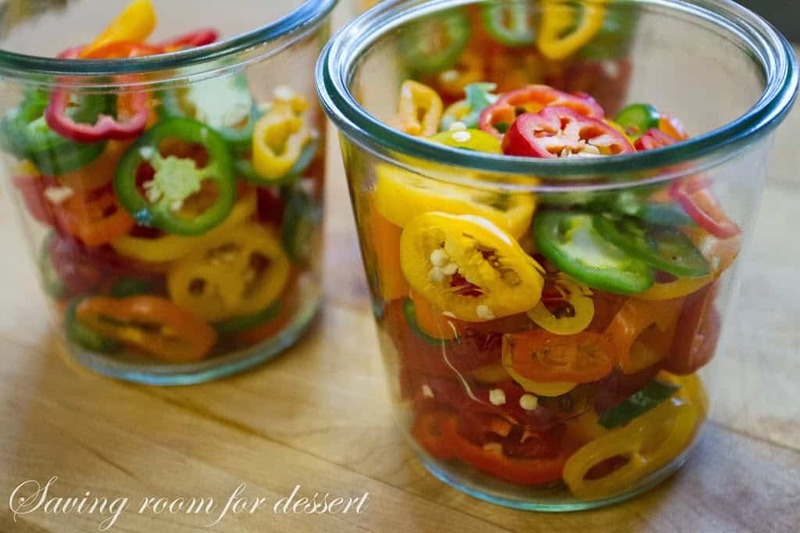 Divide the sliced peppers among 2 canning jars. Bring the white wine vinegar and the next 9 ingredients to a boil in a medium saucepan over medium-high heat. Reduce the heat to medium and simmer, stirring occasionally for about 5 minutes. Pour the hot mixture over the peppers. Cover with lids and let stand about 30 minutes. 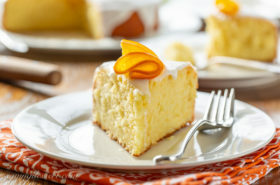 Refrigerate 12 hours before serving. Will keep about 3 weeks. 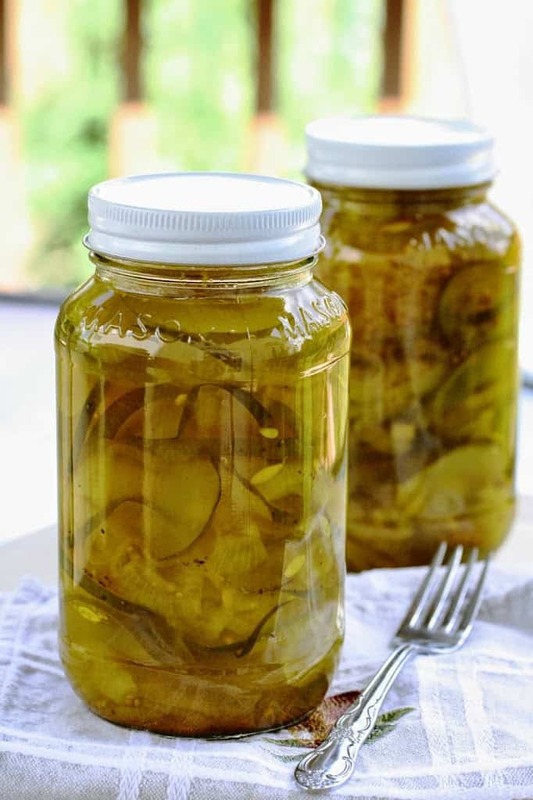 Check out these other great pickle recipes! We hope you have a wonderful, safe, happy July 4th holiday. We’re going to spend a little time working in the garden and painting at our daughter’s new house. Not exactly as much fun as eating a big slab of BBQ ribs and drinking a cold beer, but that’s okay – they promised to feed us! 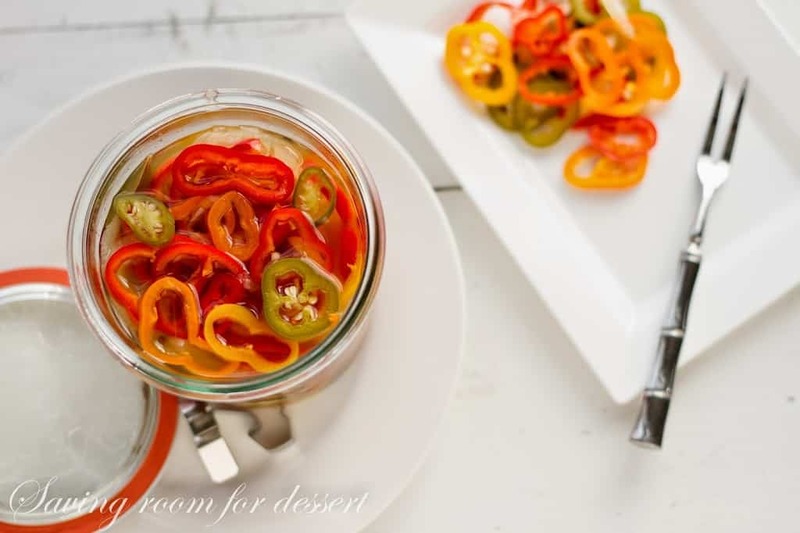 This was such fun to read and I'm NOT pickled either :)<br />Pretty colors and I'm sure it's a great addition to most dishes.<br />Are the peppers from your garden? 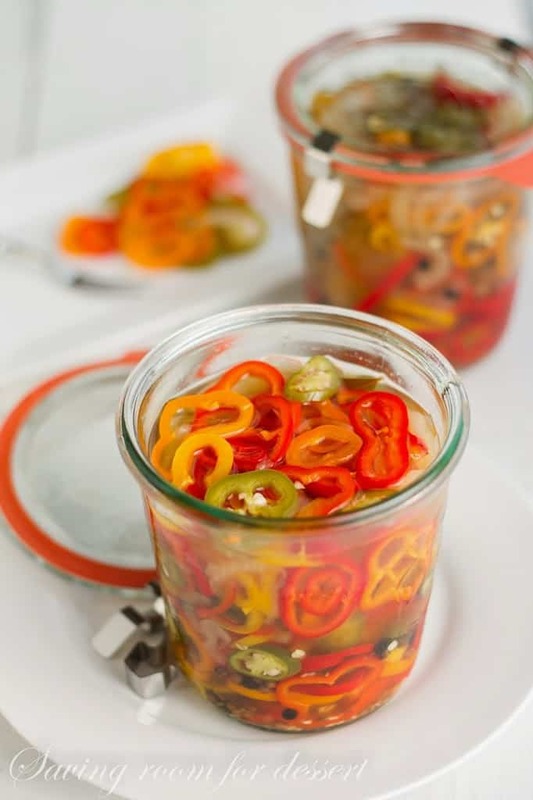 Pickled peppers sound delicious! I'd like these on a burger or tacos! Ooops! 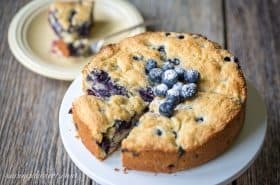 🙂 Great post and I bet they're delicious! I have to give it a try! Gorgeous summer colour! They would be fantastic to serve with some German Frikadellen. Hi Tricia, these look wonderful, did you get these from your garden? My husband would love this. Happy 4th to you! These pickled peppers (I am not even trying that 3 times fast!) are so colorful! The sweet-sour-spicy would be great with so many grilled foods…meats or tofu! 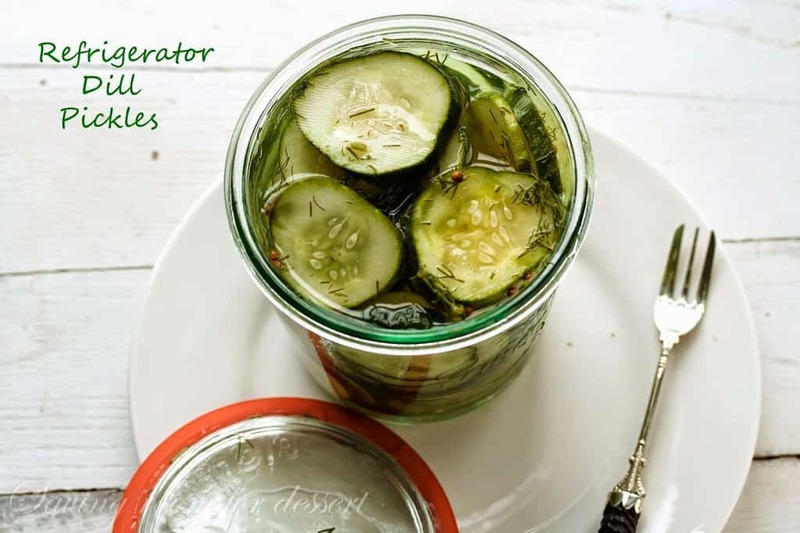 Your Refrigerator Dill Pickles were the first pickles I ever attempted and I love them! Pickle peppers will be next. 🙂 Have a great holiday weekend with your family, Tricia! Hahaha – thanks for reading Larry! Have a wonderful 4th of July – stay safe! I love the pretty colors of these pickled pepper! I also really like that this recipe uses mostly white wine vinegar, so that the peppers aren't too tart. 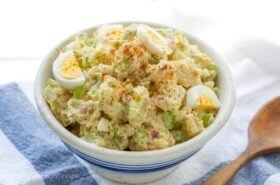 I can't wait to make this, and I'll be making them with lots of jalapeños, cuz I like things spicy! I'm with you Kari – love the spicy! Have a wonderful holiday!